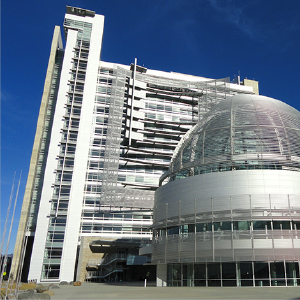 San Jose City Hall was the country’s first city hall to obtain United States Green Building Council (USGBC) Platinum certification for existing buildings in March 2009, the highest possible Leadership in Energy and Environmental Design (LEED) rating. 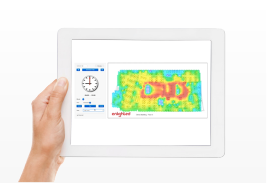 There is an obvious match between the Enlighted sensing and control solution and the challenge of upgrading the vast majority of buildings that have not been designed for energy efficiency. For retrofitting existing buildings, the concept of bolt-on smart sensors and a wireless data back-end makes clear sense. But, what about brand new structures built for high energy performance? Can their comfort be improved and energy spend reduced through intelligent dimming, occupancy control and daylight harvesting? The City of San Jose wanted to find out. With one sensor per fixture, the Enlighted system offers the granularity and flexibility to dim, brighten, turn on or turn off lights, according to the space that’s being used. The City’s facilities team dimmed down lighting to 40% maximum light level for the office space covered by Enlighted. With few exceptions, occupants didn’t notice or they asked for further dimming. Lighting comfort is a personal preference, but for most people doing screen-based tasks, tuning down overhead lights not only saves energy, it’s more comfortable. The system also actively detects worker presence and ambient conditions and makes intelligent decisions about lighting based on these factors in real-time, adding significant occupancy and daylight-harvesting savings to the total.